In the last post we talked about budgeting, having an emergency fund, then how compound interest works as a basic principle and how it’s like growing an apple tree instead of having to plant and grow carrots every year. And how compound interest is a huge reason some people end up on the streets, while others end up rich. This time around we’ll be looking at investing, because this is where compound interest REALLY takes off. I’ll explain what a stock, bond, and dividend is and how they can help not only the rich, but the average person earn some serious money without actually having to work for it. I’m sure you’ve heard the saying “you have to have money to make money”, right? Well, I was surprised just how true that statement is…. Let’s start with why you should care, what compound interest and investing have in common and how that turns your little stash of money in to a respectable hill of gold. Compound interest is an occurrence that happens when you earn money on the money you previously earned from interest, and when you invest it’s the same thing, if you leave the amount of money you earned from investing in your account you can then earn money off of that amount on top of what you earned before. Let’s do a bit of math, assuming your ROI(Return on investment) is 10% a year, which is a bit high but the math is simpler using 10s. If you can only afford to stash away 1000 dollars every year in to an investment account(just 20 dollars a week), you’ll be earning 100 dollars your first year off of that investment, followed by 210 the next, followed by 331 the next, followed by 464 the next, followed by, followed by, followed by…. As you can imagine it keeps growing til you hit a couple of major milestones that ramp up and multiply. The first being what I call the point of take off, when your money is earning as much as you’re able to put in to it every year. So when your earning 1000 dollars every year it’s like having 2 people now putting money in to your account every year. The next milestone, which now comes faster than the last is when your account is earning 2000 per year and it’s like having 3 people putting money away. The milestones at this point happen faster and faster and suddenly you’ll find yourself in your mid 40s and your pile of money is earning more money on it’s own than you could afford to put in to it. Your money is growing on it’s own, and it’s out earning you. That is compound interest, that is the effect of stashing away just 20 dollars a week in to an investment account. Ok, we’ll talk about the bare basics and explain how investing works. An investing account will be made up of stocks and bonds, and you’ll earn money by selling/holding those, while also being paid dividends. Sounds like a lot right? Give me a second to explain. Starting with stocks, a stock is a tiny portion of a company that you buy and hold on to. Typically each share isn’t a big percentage of the company, but if you had enough money you could buy up enough stocks to influence major business decisions, though most people will just hold on to them long enough to sell them again for more money than they originally paid for them. Here’s an example; say you bought 1 share of google when its price was 900 dollars a share, you see they release some new product and the company as a result is bigger and more valuable so it’s share price increases to 1000 dollars a share, if you sell your share now you’ll have earned 100 dollars off the difference. This is generally how money is made from stocks, you buy up portions of companies, and then sell them later down the road when the company is worth more than back when you bought it. Moving on to bonds, a bond is basically a loan you personally give out that you’ll be paid back on when it matures, or reaches a certain amount of time as agreed upon. Here’s an example; My mother bought 1000 dollars worth of Canadian bonds(loaning money to the government) that matured in 10 years, when she was allowed to cash them in for the agreed amount. Typically bonds don’t earn as much money as stocks do, but they’re also far less risky as well. Their advantage being that you don’t have to try and predict the future like you do with stocks. Finally, what are dividends? Well, when a company earns money, they can do a few different things with it. They can use that money to reinvest in the company by buying more supplies, hiring more employees, spending it on marketing, etc. Or they can share the money out with the share holders, which is what a dividend is. It’s a portion of how much that company earned, that’s given to you as a person who owns some stock in the company. The more shares you own, the more money you’ll be given in dividends. So If you owned 1 share of google and I owned 2, and their dividend was 20 dollars, you’d be given 20 dollars and I’d be given 40. So buying and holding on to companies that pay out dividends is another way to earn money as an investor. When you begin your investment journey however, I suggest jumping in to mutual funds. A mutual fund is a managed set of stocks/bonds set up by a bank to generate a desired type of return. So if you go to your bank and ask to start a mutual fund investment account, you’ll be met with fees(usually a % of the total amount in your account) but you won’t have the initial headache of learning how investing works. Paying someone else to manage your money means you’re going to see smaller earnings, but you’ll have a qualified expert in your corner. Later in life, as you learn more about investments, you can branch out to making your own stock picks and such, but I suggest you get started at your bank with a managed fund. Whatever it is you decide to do, just get started today. The sooner you start, the sooner you’ll hit that point of take off where your money starts to sky rocket off without you. In the next post I’ll talk about the basics of risk. When you’re investing, how do you know what’s gambling and what’s actually investing? And staying on theme I’ll also mention insurance and how your risk tolerance should curve off as you get older. Knowing where it’s ok to play with a little risk and where it isn’t, is the key to keeping yourself out of trouble. But that will have to wait for next time. Welcome to adulthood. Among all of the other things you were suddenly supposed to be knowledgeable about, is finances. You know, the ins and outs of money; stocks, retirement funds, insurance, budgeting, separated funds (retirement, freedom, vacation, etc), high vs low interest savings accounts, ROIs, and whatever the hell a dividend is…. We were never taught these things in school, but we’re expected to suddenly know all about them as an adult, like magic it was supposed to pop in to your head when your turned 20. Only… I think there was some premium I was supposed to pay to get that bit of DLC, or a box I forgot to check off on some form in high school that requested I get let in to the class that taught this stuff. So firstly, let’s talk budgeting, these things are super important and a real game changer if you’re just doing it all in your head at the moment. A budget is how you track and account for how much money is coming in to your pocket, and how much money is going out of it. (bills, rent, food, gas, insurance, everything) The reason you need to have a budget written down on paper is so you won’t be surprised when you suddenly run out of money. A budget consists of 2 lists; all of the money you’re earning on a monthly basis, and all of the money you’re losing on a monthly basis. The money coming in is probably just your main job and if you do something else on the side, like selling drugs. Your money being lost side needs to include EVERYTHING, every little thing you’re commonly spending money on monthly. Here are the common ones: gas, food, electricity, cable, internet, phone, rent, car insurance, life insurance, etc. Write each item out and average how much each is per month(note that electrical will change throughout the year the most), this makes up the expenses side of your budget. To be safe about it, and so you don’t tell everyone you ended up homeless by reading the A2A blog, subtract 10% off your income total(or multiply it by 0.9) and then add 10% to your expenses total(or multiply it by 1.1). This will give you a nice buffer to prevent any expenses or the random sick day you didn’t account for from dragging you to the streets. If your income total is higher than your expenses total, congratz you’re building wealth, if your expenses side is higher than your income you need to reduce the amount of bills you’re paying or get a better job. Cancelling your cable bill or reducing your bills to a lower quality for cheaper is the better option, finding a job usually takes time where as those should be changed by your next bill. Secondly we have your emergency fund, the only thing (other than your parents or a rich friend) that’s really keeping you from the streets. Go to your bank, ask to open up a savings account where you can stash an emergency fund, and start tucking money away. It doesn’t matter how fast, just keep putting money in on a regular basis and never ever touch it. Seriously, don’t touch it. That money is there when everything goes to absolute hell, when you lose your job, your car breaks down, AND your cat dies. If you’re day isn’t that bad, you’re not in enough trouble to need to dip in to your emergency fund. Typically you’ll need at least 3 months of expenses tucked away in there, the most you’ll want is about 6 months or so, beyond 6 months and you’re just becoming a hoarder. It doesn’t matter how broke you are either, putting any amount in this emergency fund per month is better than nothing. Remember it’s the only place you can turn when the poop hits those whirling metal blades. Quick math for those who say they’re too broke for an emergency fund, 20 dollars a week(2 hours work-ish) stuffed away in your emergency fund turns in to 1040 by the end of the year. That’s enough to deal with the occasional car trouble at least, it’s far better than the alternative of having to resort to credit cards or a payday loan. The companies behind those are bottom feeders who are looking to prey on you when you’re at your worst, recognize them for what they are and do everything you can to avoid having to deal with them. Have an emergency fund in case you end up dealing with a “Job losing, car braking, cat dying” kind of day. And finally, we have compound interest, this is the cool stuff. Depending on who it favors… If you’re in debt then compound interest will destroy you, if you’re above zero it is one part to the secret of getting and staying rich. That’s no exaggeration, there’s an illustration out there(try to find it using google) with two rivers, one pulling you down a cliff and the other to a paradise style lake. Once you’re caught up in the current it’s hard to fight it and get in the other river…. So what is compound interest? Well, let’s look at the tiny example of having a savings account with a 1% interest rate. So if you put 100 dollars in this savings account and leave it there, the bank you have the account with will pay you that 1% for keeping your money in the bank. They do this because they get paid partially for holding on to money, and so they pay you to encourage you to keep your money in the bank instead of pulling it out. 1% of 100 dollars is 1 dollar, obviously, and it isn’t much right? Well prepare to have your mind BLOWN! That 1 dollar the bank gave you, is now 1 more dollar that you’re being paid interest on. So the next time you’re paid interest it’s 1 dollar and 1 cent. Crazy right? You earned an extra penny for doing nothing. So now you have 102.01$ in he bank, until the next time set of interest payments come around and you’re paid 1.0201$ instead of the 1.01. So now you’re making 2 pennys every interest payment instead of just 1. And this slowly increasing set of moneys builds momentum, and the longer it grows the faster it ramps up until it gets to the point where you’re earning some actually noticeable amount of money just for holding your money in the bank. I know that sounds like a really pitiful amount, and it is. But let me ask you, would you rather plant, water, and harvest a huge field of crops every single year, or would you rather plant apple trees? The apple trees will take longer to set up, but after they’ve grown, all you have to do is collect your apples when they’re fully grown. As you watch all your neighbours work their fields all year round, you just have to go out once a year and collect the harvest. The apple trees sound pretty great huh? Even though you won’t see a return in the first few years, you’ll eventually be rewarded with a great field of low work fruits. This being said, the flip side of compound interest looks like a hole that seems to just keep getting deeper. 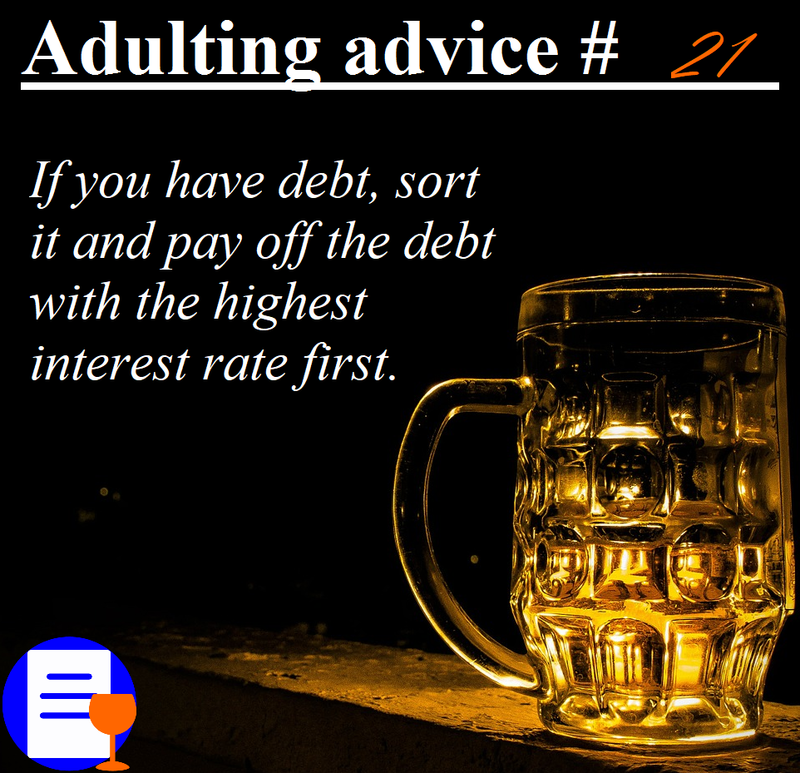 When you’re in debt you have to deal with interest as well, but instead of the bank paying you, you pay the bank more money. And when you’re already below zero, that means tagging on more money to how much you owe…. I’ll go further in to how compound interest can help the average person become rich or turn even the most hard working homeless. I’ll also explain investing in general terms. 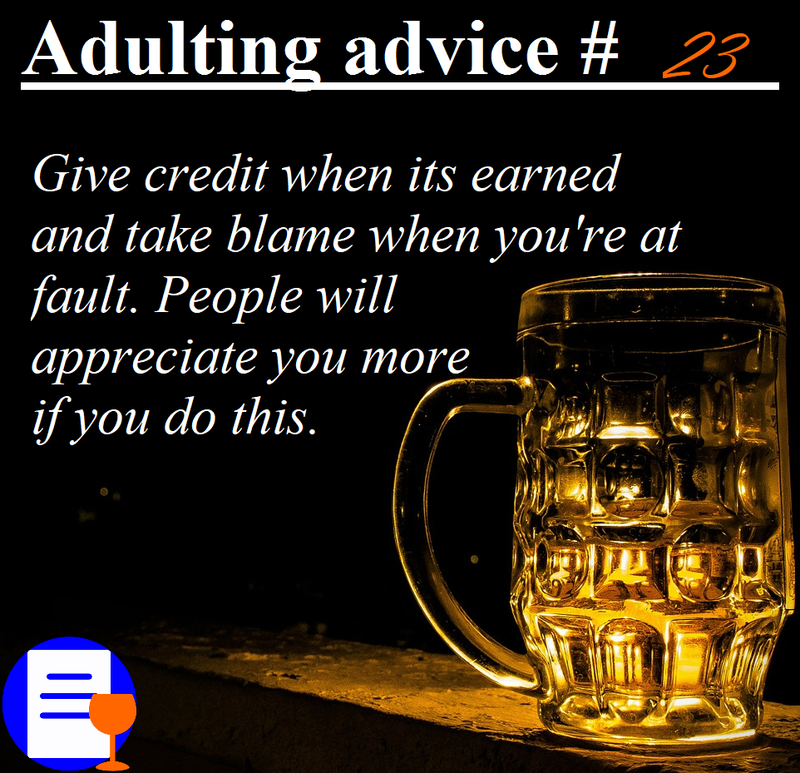 But for now, keep an eye out for part 2 of “Finances, barely-an-adult style”.